The Dads Who Serve campaign is celebrating fathers who serve children directly – as teachers, coaches, and volunteers in children's programs. We are using Father's Day as a springboard to celebrate engaged dads for more than just a day. We aspire to encourage more fathers to serve children in their schools and communities by rewarding those who do and by highlighting the critical role dads can play in programs that serve children. "Children who are served by engaged fathers tend to thrive. They are more likely to graduate school at all levels and less likely to end up in poverty," says Christopher Redner, CEO of Children In Need and Director of Dads Who Serve. "As a result, many schools are actively recruiting dads to offer their time and talents to students. 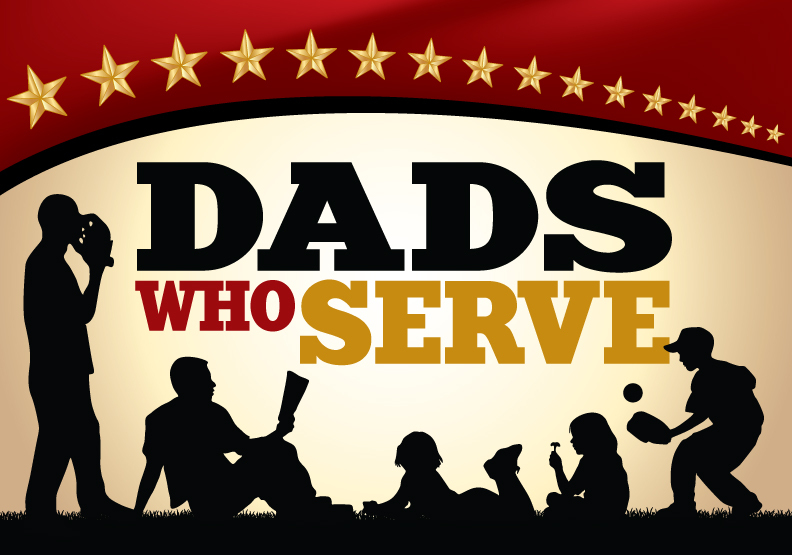 Dads Who Serve can help by drawing attention to the impact father figures can have on child development and on the quality and security of our schools." Kids benefit from seeing parents serve firsthand. It's no secret we learn values from our role models. It's important that there are men among a child's positive role models." Dads Who Serve is acknowledging their contributions by giving them a free copy of Bryan Duncan's father/son duet "Every Father Is A Son" here.